This little jewel of a book contains seventeen loved, and some lesser known tales retold in Simon's unique, and slightly irreverent voice. These are all stories Simon tells, and each includes notes about the tale. For those who want to become storytellers there is a Tips on Telling section. If you want to read more, there is a suggested reading list. If you want to learn about Simon and what he does, there is a Q & A. If some of the words confuzzle you, there is a vocabulary list. I wrote this for young people, to get them excited about folk and fairy tales. I wanted a source for teachers, librarians, parents, and grandparents. I want you to enjoy the old, ancient stories as much as I do! The fairy godmother of American storytellers, Elizabeth Ellis said this about Under the Oaken Bough: "A delicious collection: a tempting mix of old favorites and rare gems, all shared in Simon Brooks' engaging style. Parents, teachers and tellers will all want this for their libraries. It is made more useful by his informative notes that include folktale index motifs as well as sources and variants. His insightful Tips for Telling is an added bonus." Can be purchased from all good brick and mortar bookstores (or on-line), and can be purchased directly from Simon. This audio recording is designed for people aged 10 and up. Using for my source material two direct translations from the Cuneiform, and two other versions, I retold the story in a way that I hope is engaging to middle-school audiences, whist staying appropriate for that age range. I have created an authentic although modern rendering of the epic which, I hope, will keep young people interested in this sort of story and encourage them to explore other epics, such as Beowulf, The Ramayana, the Volsungs, the Mahabharata, et al! Winner of a Parents’ Choice Gold Award - " masterful narrative"
Released in 2006 and 2008 respectively. 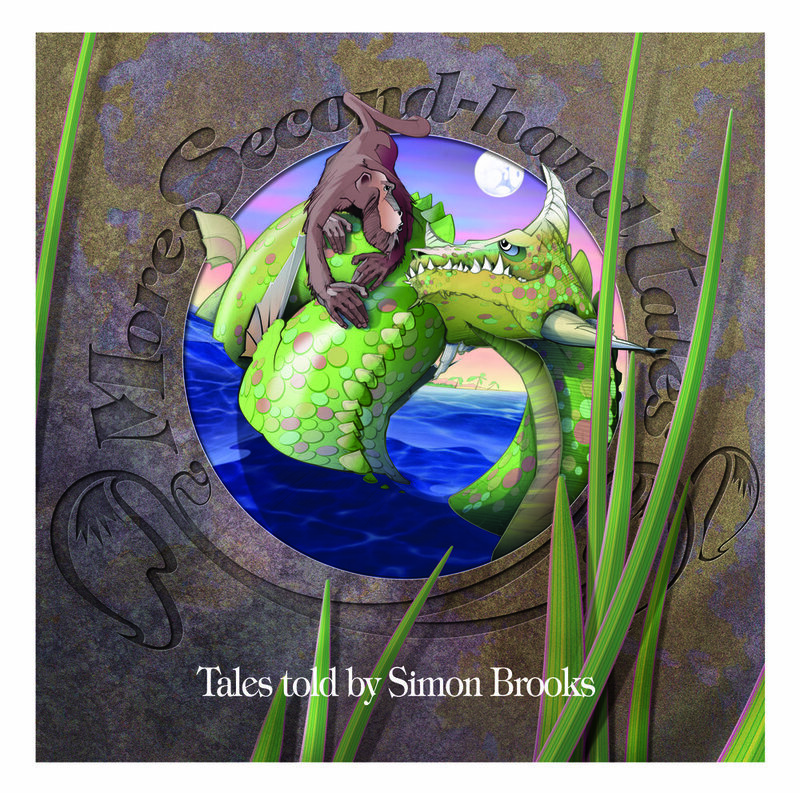 Second-hand Tales (suitable for those aged 4 and up) presented an Honors from Storytelling World for the story The Three Feathers. Running time: about 60 minutes. To purchase the CD, please click HERE to take you to CDBaby, my distributor. At CDBaby, you can also listen to parts of each story! You can purchase More Second-hand Tales from CDBaby, my distributor, by clicking HERE. At CDBaby you will also be able to sample the tracks. Released 2011 and 2015 resepectively. Running time: about 70 minutes. You can purchase A Tangle of Tales from CDBaby, my distributor, by clicking HERE. At CDBaby you will also be able to sample the tracks. Running time: about 50 minutes. To purchase Moonlit Stories, please click HERE to take you to CDBaby, my distributor. At CDBaby, you can also listen to parts of each story!